MNS prides itself in transparency with its clients. The owners are intimately involved with every aspect of the home development process and provide details unmatched in the industry. Call us today! Norfolk County's Custom Home Builder | Best of Houzz 2018 Winner! 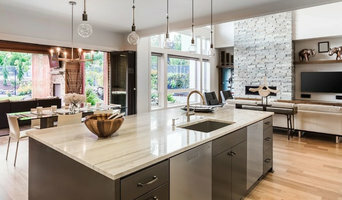 Todd Sullivan is a native Westwood resident who has spent his 25 year career working in the region on a variety of custom projects from kitchen & bath remodels to 11,000+ square foot, custom homes. Personal attention to detail is a cornerstone of Colwell Homes’ business. The Colwell Homes team works closely with each client through every phase of the design and building process. We are a family-run business, 45 years in the making. We build exceptional homes exclusively in New Hampshire and are ready to help create your perfect home! With over 35 years of custom homebuilding and renovation experience, Kistler & Knapp Builders, Inc. has grown to be one of the most highly regarded construction firms in the greater Boston area. We pride ourselves on our quality craftsmanship, as well as our project management & communication. Our mission is to provide the highest standard of craftsmanship & customer service in the industry. We construct new homes for our own account and build homes and renovations/additions for both homeowners and architects. Contact us today and let us help bring your dreams to life. Douglas A. King Builders, Inc. offers more than 50 years of experience designing and building over 1,500 homes and 50 commercial properties, with over 400 apartments for rent. We are a full service custom builder based in Needham and the surrounding towns. To us, our customer is part of our team and we have a teamwork-oriented approach to construction and design. To view an interview of our founder, Steve Lawrence, and hear from testimonials of past clients please click onto this link to view the video on our website - <a rel="nofollow" target="_blank" href="http://www.lawrencebuildersinc.com/">http://www.lawrencebuildersinc.com/</a> Lawrence Builders is committed to creating mutually rewarding partnerships by providing exceptional client service, building quality projects, and meeting schedule and budget realities. The result of this commitment is relationships and projects that endure the test of time. As a green building company, Lawrence Builders offers certified green homes that earn their designation through energy efficiency, site planning, healthy materials, durability, sustainability and other green practices. Our founder, Steve Lawrence graduated from Roger Williams University (RWU) in Bristol, Rhode Island (RI) with a Bachelor of Science degree in Marine Biology. Steve ultimately met his wife and shortly thereafter they undertook a new adventure which took him to the majestic Colorado Rocky Mountains. Since Steve was unable to pursue his passion of marine biology in the “land locked” state of Colorado, he decided to “get creative” and taught himself to build furniture using dead standing Aspen trees. This experiment in furniture building sparked his passion for ‘green building initiatives.' Steve’s passion for bigger and better was ignited, and his natural curiosity to understand how thing’s are constructed, led him to learn and to create beautiful custom designed and custom built mountain homes…starting with his own. After eight years in Colorado, Steve and his wife returned ‘home’ to Rhode Island continuing his love of construction in the Ocean State. Instead of building and framing his custom home building ‘artwork’ against the canvas of the majestic Colorado Rockies, Steve arrived ‘full circle’ and his new palette today is not only the picturesque New England mountains, but also the maritime beauty and history of the rugged New England sea coast. Today, Steve’s has had the privilege of building and renovating homes in many Rhode Island towns, cities, and seacoast towns. What’s the most important step in building a new house from the ground up? Many people would say it’s choosing the right Norfolk home builder. Constructing a new house is a huge and multifaceted undertaking, so it’s important to find custom home builders in Norfolk, MA you can trust to bring your vision to life, as well as keep the process under control from start to finish. Although a construction job is never without surprises and challenges, a Norfolk, MA home builder who’s a good fit for your specific project will make these far easier to handle. For Norfolk residential home builders who also act as developers, the job starts well before the first nail is driven. They perform local market research to determine whether the prospective homesites make sense in the Norfolk, MA market, as well as survey the land on which the house will be built to make sure it is suitable for construction. Custom builders also obtain the necessary permits. 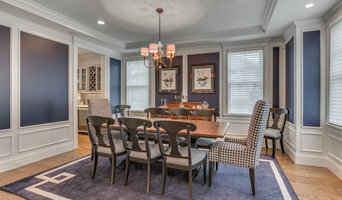 A good custom home builder in Norfolk, MA has skills that go far beyond construction — he or she must supervise subcontractors and artisans; keep tabs on local zoning regulations, building codes and other legalities; inspect work for problems along the way; and perform dozens of other roles that are essential in building a quality house. Here are some related professionals and vendors to complement the work of home builders: Interior Designers & Decorators, Landscape Architects & Landscape Designers, Architects & Building Designers, Kitchen & Bath Designers, Specialty Contractors. House builders are responsible for ensuring that the home-building project sticks as closely as possible to the specified timetable, particularly in the event of change orders. 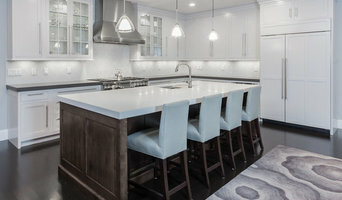 Custom and luxury home builders in Norfolk, MA also need interpersonal skills to deal with clients of all types, soothe frazzled nerves, negotiate conflicts and resolve problems. Find custom home builders in Norfolk, MA on Houzz. Narrow your search in the Professionals section of the website to Norfolk, MA home builders. 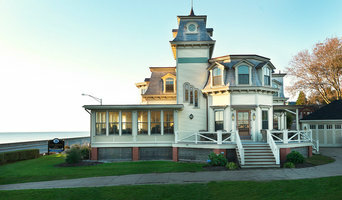 You can also look through Norfolk, MA photos to find a house you like, then contact the builder who worked on it.